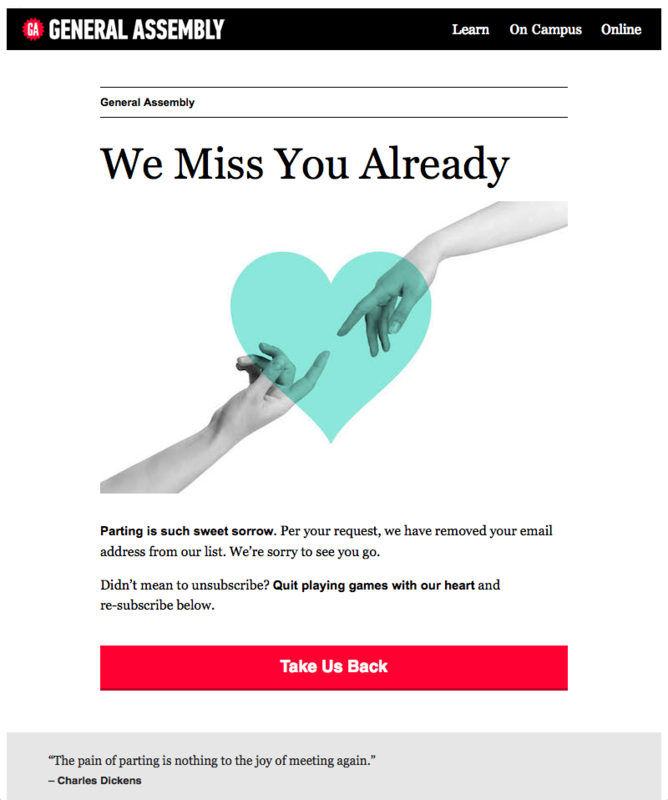 Email marketing has really come into its own. And, with a 4,300% return on investment—the highest among digital marketing channels—it’s no wonder. 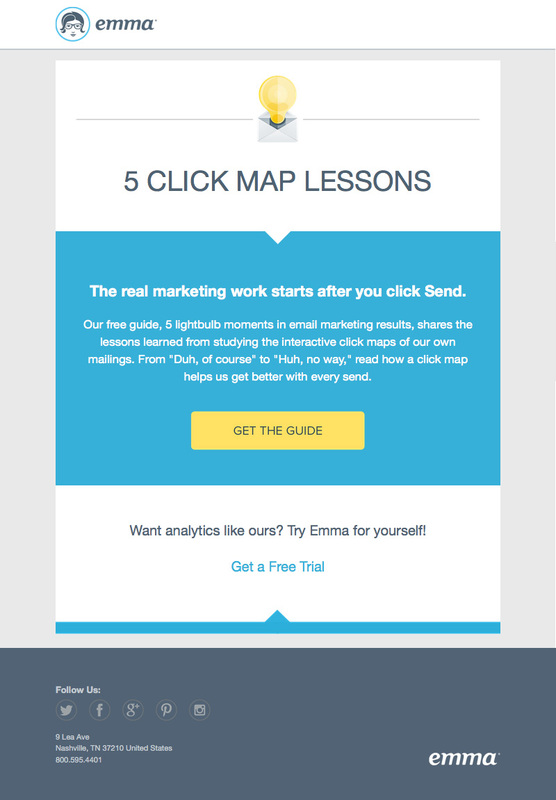 Here at Litmus, an email creation, preview, and analytics tool, we’ve seen some amazing emails. For your Friday inspiration, we wanted to share them with you—along with the source code, which you can view with our handy Scope tool. Ready to get inspired? Let’s go. Twitter employed bold background colors to clearly separate content sections and distinguish their calls to action (CTAs). They also use an S-curve design—alternating the positioning of text and images in the lower half of the email—which really helps the readability. Like Twitter, Emma uses background colors to separate their primary and secondary CTAs. The clean, simple layout makes it easy to scan for the busy subscriber. We also love how much the primary CTA pops. Campaign Monitor’s responsive design, large type, and clear CTAs make this a great read whether you’re on your desktop or phone. 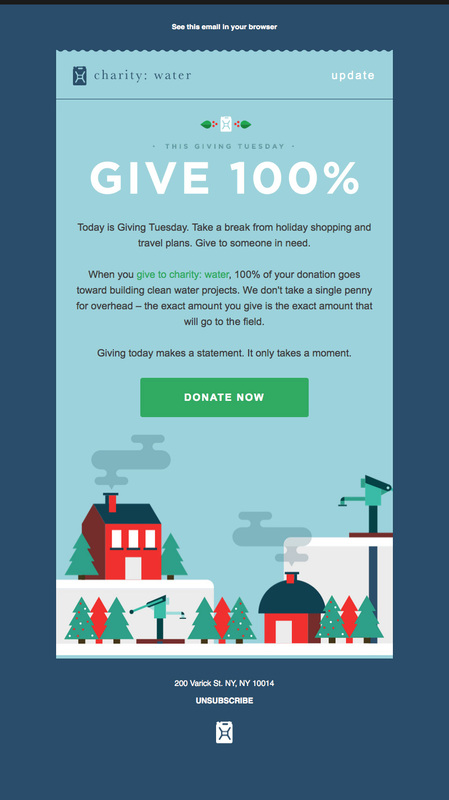 We appreciate how short and sweet this email from charity:water is. They only include relevant information and get right to the point. 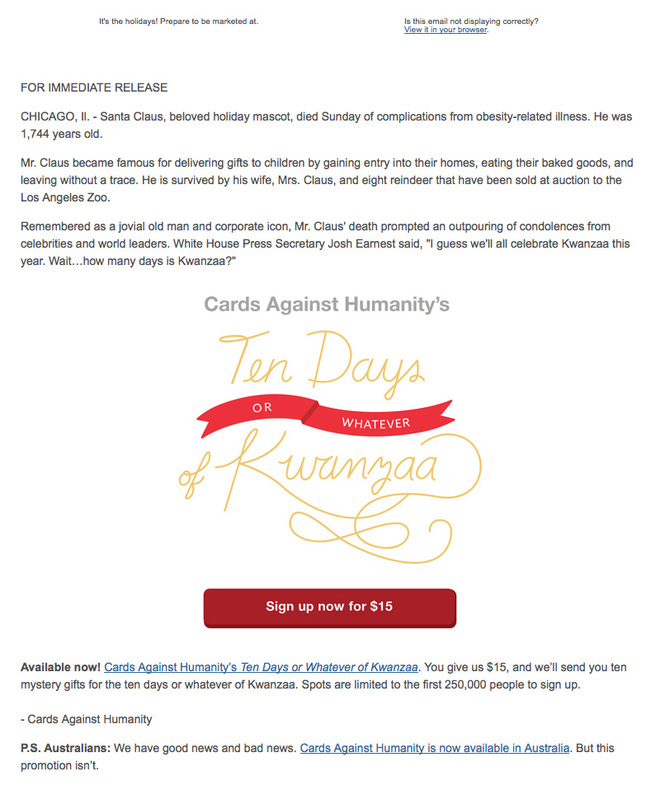 Cards Against Humanity shows their brand personality in this playful, witty email. Besides performing its transactional purpose, this order confirmation email from Harry’s packs in some helpful information. The valuable tips and simple presentation help subscribers get the most out of their new razors. This subtle, yet realistic animated GIF from Netflix is one of our all-time favorites. Sprout Social uses animated GIFs to showcase new features right within the inbox. Beyond the Envelope uses CSS3’s column-count to create columns of text within the email—impressive! One of our favorite emails is B&Q’s interactive carousel campaign. In supported email clients, users can tap through different sections. In others, the carousel falls back to an elegant, grid-based design. To announce The Email Design Conference, we used an HTML5 video background in our launch email. The HTML5 video fell back to a static background image for all email clients that don’t support video. Inspired to try something new in an upcoming campaign? 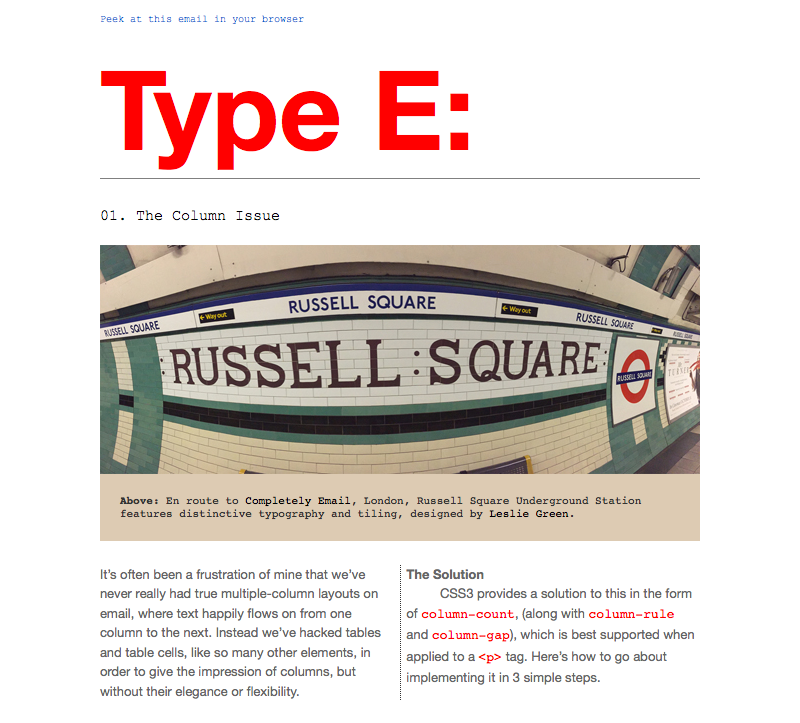 Put your best foot forward by ensuring your email design displays as you intended. Email clients display emails differently. So, while your email looks great in your Gmail account, it might break in other apps. Test your designs in over 40 desktop, mobile, and webmail clients with Litmus—free for 14 days! Whether it’s blogging, tweeting, or helping to plan conferences, she’s always on the look out for anything that will help the world send better emails.